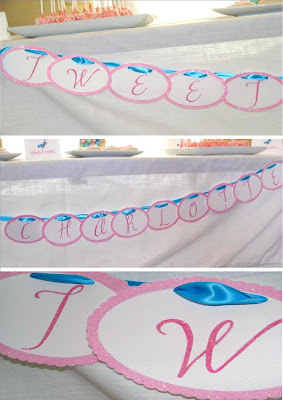 Icing Designs: Tweet Charlotte's Party! About a month ago we shared a birdie, cupcake and cherry blossom invitation with you for sweet Charlotte's first birthday party! Well, this past weekend was her party! We created a birdie and cherry blossom sweets table, and it was perfect to tie in with the spring season that is in full bloom! I think our favorite part of the table was the centerpiece! We made it out of real branches and fabric cherry blossoms. 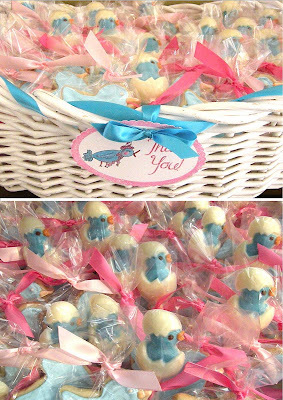 We placed a little blue bird in the tree branches to match the invitation...and we even made him a little party hat! 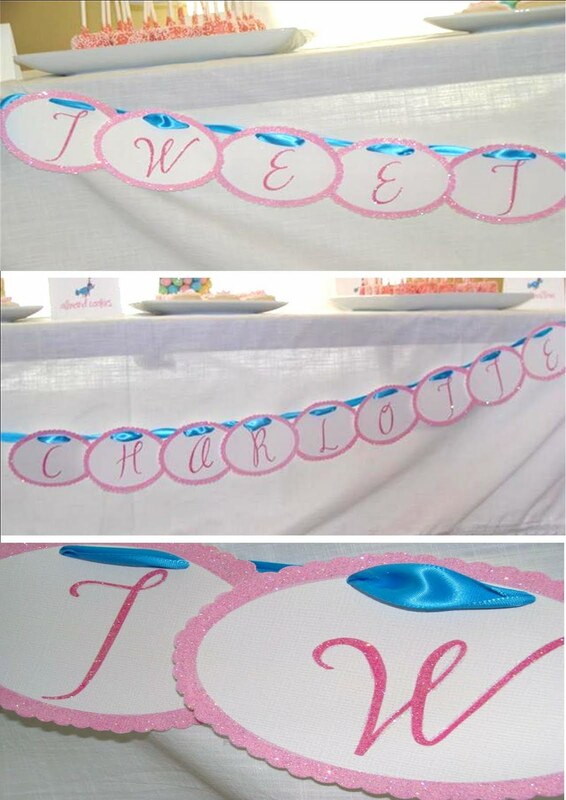 We created a glittery letter garland that said "Tweet Charlotte" to hang across the front of the sweets table. 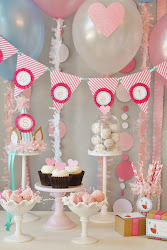 We love letter garland, especially for first birthdays! 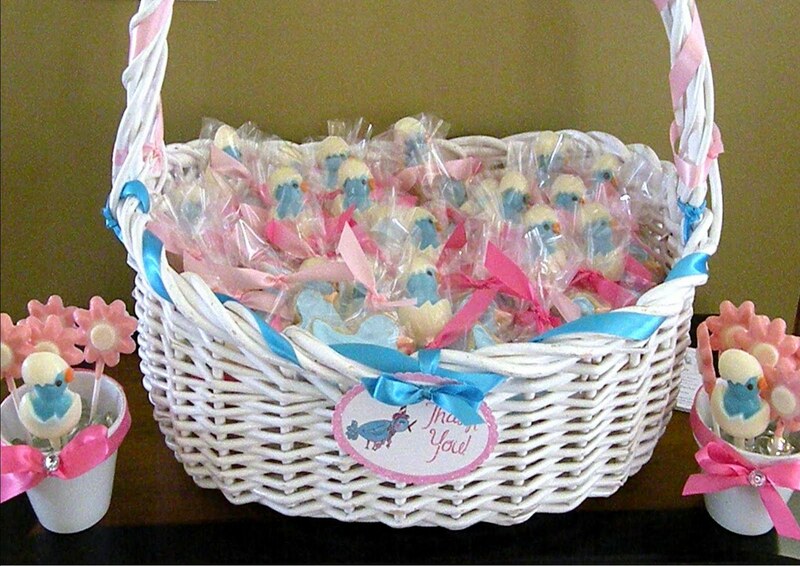 It is so cute to hang the baby's name in the nursery after the party! 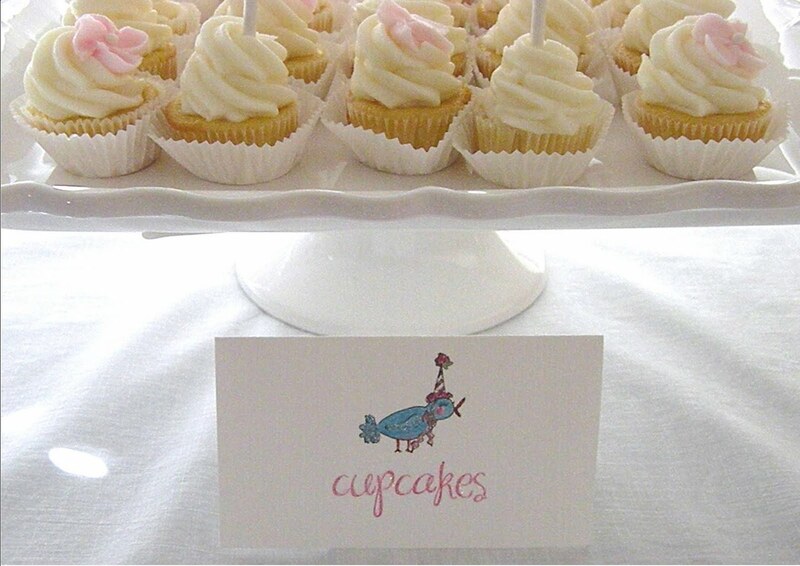 What party is complete without cupcakes! 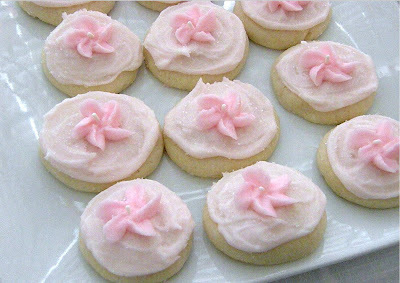 We made mini cupcakes, half of them had a little cherry blossom tucked in the side and the other half had the cupcake flags we made to match the invitations. 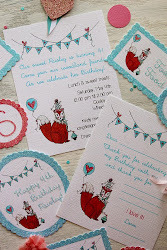 We also made little glittered tent cards to go in front of each sweet! 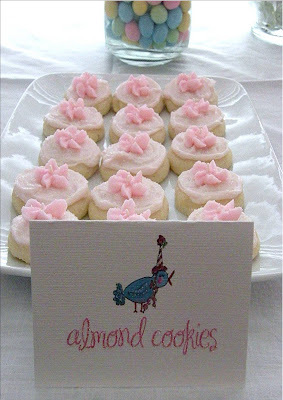 These little cookies were almond meltaways. We sugared them to give a glittery effect and then piped a cherry blossom on top! 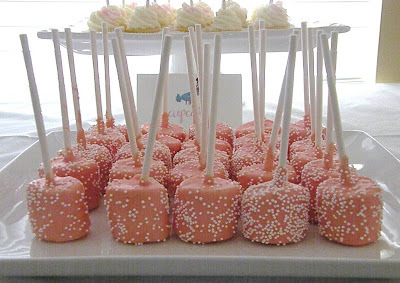 We dipped marshmallows in pink chocolate and sprinkled them with little white non-perils. 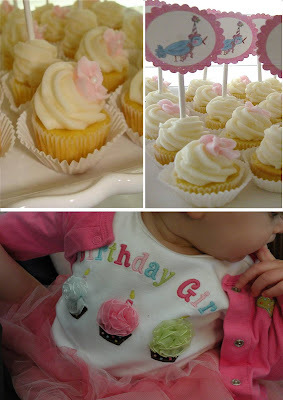 The birthday girl looked just adorable! She is so sweet....and she was even "sweeter" after she dug into her little cherry blossom smash cake we made her! 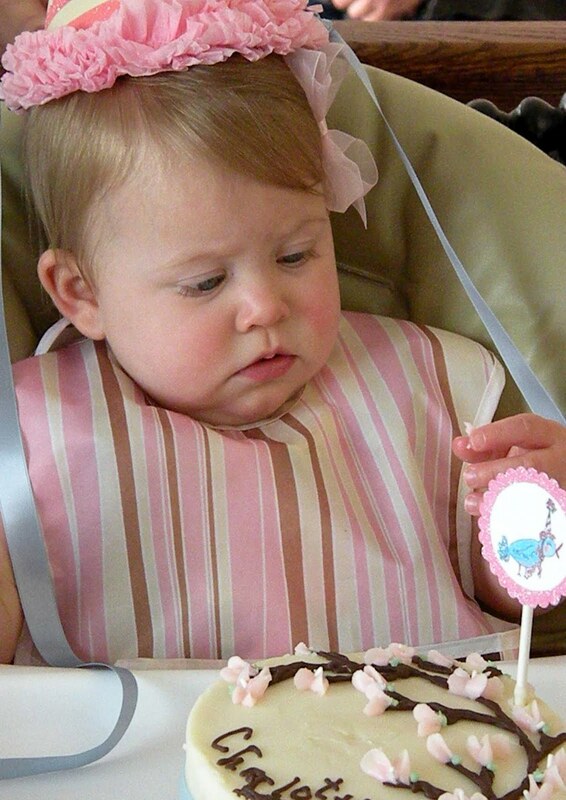 Happy First Birthday Miss Charlotte! 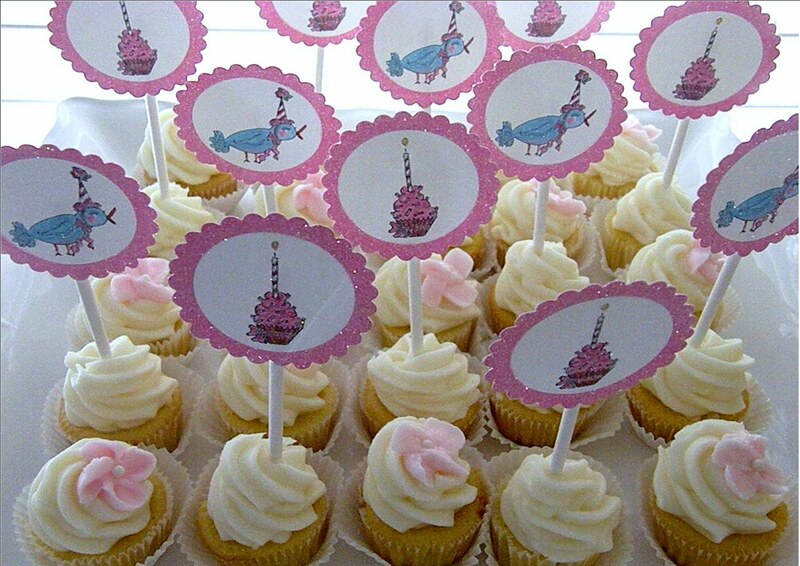 May all of your birthdays be as "sweet" as you are! 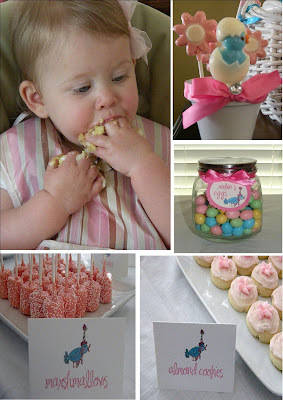 What great ideas for a first birthday party! Love them all! I never thought to make marshmallows like that -- it looks so simple to do but really makes a design impact! Awww...such a sweet party! Adorable! 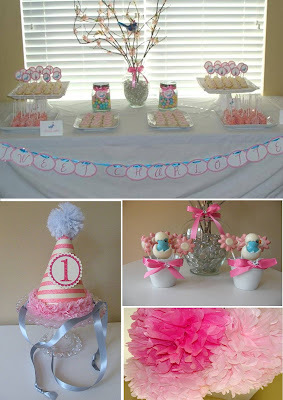 Gorgeous party, love all the beautiful touches, my favourite is the hat! Thank you! The party hat is from gaddie and tood! 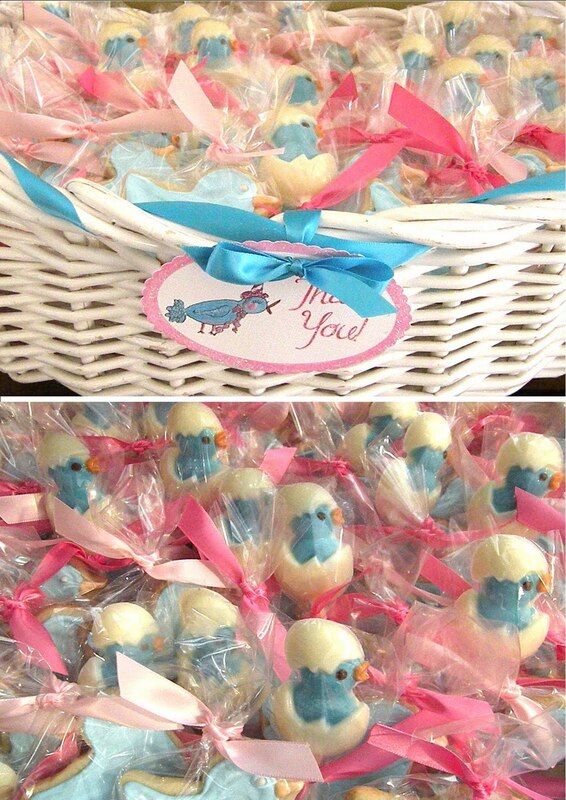 How adorable is this birday party. I just love love love the favors, just too cute. Thank you for sharing. This is an awfully adorable party! The miniature party hat on the bird in the centerpiece is the perfect touch--absolutely delightful and adorable. I love it when there's that attention to detail. Love!